SUNNYVALE, California — August 20, 2012 — Arteris Inc., the inventor and leading supplier of network-on-chip (NoC) interconnect IP solutions, today announcedthat Inc. magazine ranked the company 496 on its 31st annual Inc. 500, an exclusive ranking of the nation's fastest-growing private companies. The list represents the most comprehensive look at this critical segment of the economy—America’s independent entrepreneurs. The semiconductor design IP innovator joined other notable technology members including Facebook, Palo Alto Networks, and SugarSync to name a few. 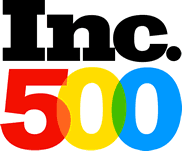 Companies such as Microsoft, Intuit, Vizio, Oracle, and many other well-known names gained early exposure as members of the Inc. 500. The increasing interconnect requirements of SoC vendors is driving the demand for network on chip technology provided by IP companies..